When you come in to shop for your next vehicle with us here at Automaxx of the Carolinas, you can rest assured that you’ll find a plethora of exceptional pre-owned vehicles at equally exceptional prices; however, the good news doesn’t stop there! In fact, nearly every single vehicle in our inventory comes with a certified warranty that will provide you with several benefits to keep you cruising with confidence! There’s a whole lot that’s covered, from air conditioning to engine parts to transmission and more, so check that link and find out all the details. If you have any questions for us about the certified warranty, or you’d like to see everything the current used vehicle selection has to offer, make your way out to see us here in Summerville, SC. We hope to see you soon and give you the automotive satisfaction you deserve. 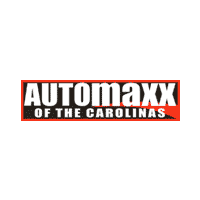 0 comment(s) so far on Get a Certified Warranty with Every Vehicle at Automaxx of the Carolinas!